Is Your Help Phone Code Compliant? Recent news has shown that 911 emergency call centers have been struggling, making dedicated emergency telephone call centers more important than ever. See how Kings III is rising to the occasion. A surging economy and a tight labor market is presenting a challenge for emergency call center managers across the U.S., according to The Wall Street Journal. Cities throughout the country are struggling to find 911 dispatchers, a job that has always been a tough sell to job seekers. There are more than 6100 emergency call centers in the United States, handling more than 200 million 911 calls every year, according to the National Emergency Number Association. Currently, there are about 100,000 dispatchers working throughout the country, with about 10,000 dispatchers being hired every year. 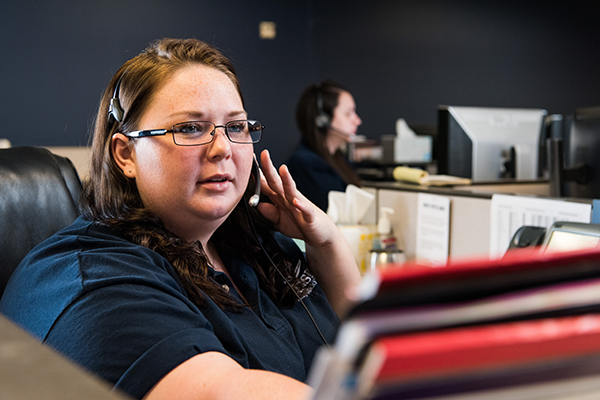 The Wall Street Journal provides an example of the shortage dilemma by featuring the The Cowlitz County 911 Center in Washington. Director Deanna Wells revealed that the center tried to hire six new dispatchers, as its sixteen current dispatchers are working more than 200 hours of overtime a month. For one, the current U.S. jobless rate is at an historic low: 3.9 percent, which is just above the 18-year low of 3.8 percent from May 2018. This doesn’t give a lot of opportunity for call center operators to find an endless array of candidates. Additionally, the job isn’t cut out for everyone. Being an emergency operator requires certain skills, both intuitive and interpersonal. Workers must make life-or-death judgments, often based on incomplete or wrong information. Furthermore, many of the calls are emotionally draining or irrational, and can often end badly. For the same salary, jobs such as retail management can appear to be considerably less stressful and more appealing. The most tragic result of a dispatcher shortage could be slower response times and fatal consequences. In a report on the status of 911 call centers, Last Week Tonight With John Oliver found that 240 million 911 calls are made every year. Many states have diverted funding for 911 call centers to support other needs, and, the host added, your Dominos app or an Uber driver can find you easier than a 911 dispatcher. Because of the shortage, less discretion is used with hiring. “For a lot of them, the requirement is, ‘We need a warm body’,” Christy Williams, director of 911 for the North Central Texas Council of Governments, told The Wall Street Journal. This certainly is not the criteria you want for the people that handle your life-or-death moments. On top of this, many 911 centers are underfunded and lack the proper resources for effective training and salary. For emergency call centers, the national standard is to answer 90% of 911 calls within 10 seconds, according to The San Francisco Examiner. In that city, the target was met only 74% of the time in March 2017. The newspaper reported that there are supposed to be 180 dispatchers on staff in San Francisco, but there are only 105. 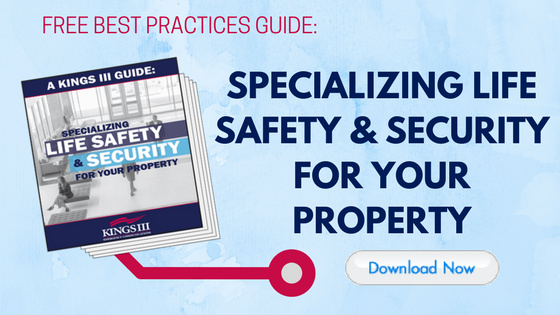 Being in property management, you know that items like life safety, risk and liability mitigation and tenant experience are more important than ever. With statistics like these, is 911 where you want on-site calls going? At Kings III, we continue to stand firmly behind the idea that the right people with the right training results in the right response. Our monitoring provides just that, all while keeping your management team informed and helping to reduce your risk, liability and costs. We understand the role of a dispatcher can be a thankless job, but that is certainly not the culture we have here. By privatizing our emergency monitoring center, we are able to provide favorable conditions, keep a clear focus and require elevated standards for our dispatchers. Our emergency monitoring center remains staffed 24/7/365 with no shortage of highly trained and devoted emergency dispatchers. What Kings III is not: we’re not a call center answering all kinds of calls from the community at large. We’re also not a security company responding to alarm signals. Most importantly: unlike many 911 staff, our Kings III operators are Advanced Emergency Medical Dispatch certified (AEMD), which means they are able to provide pre-arrival instructions as needed. An Advanced Emergency Medical Dispatch certification exceeds all national requirements and allows emergency dispatchers to handle emergency calls appropriately and provide the response the caller deserves and the situation demands. Learn more about the advantages of trusting your property’s emergency response to the experts at www.kingsiii.com. Please leave us a comment..
After 3 years and a sick Mom, I had to leave Kings iii EDC. Miss you guys so much!! Awesome management staff wirh Jean, Travis and the shift Supervisors. Great place to work!! Kings III Intertek GSA Advantage!